Place the strips of red pepper and summer squash on the grill and cook for 2-3 minutes per side, until grill marks appear. Place four slices of whole grain bread on the grill on indirect heat. 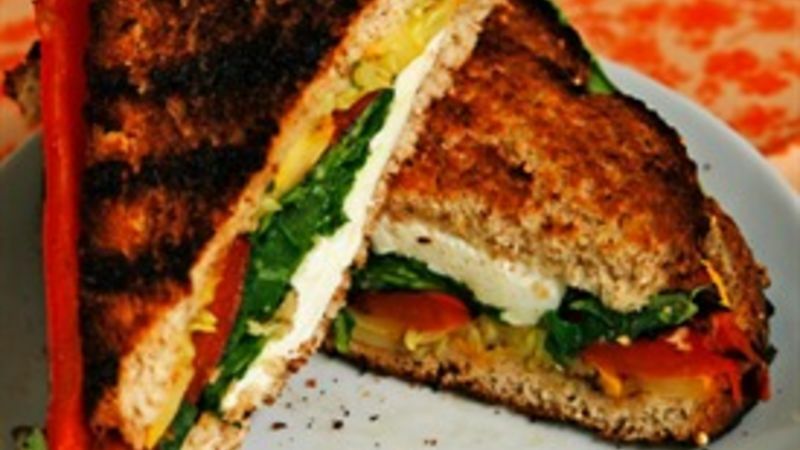 Top each with slices of red pepper and summer squash, and then a 1/2 cup of arugula. Place a slice of mozzarella cheese on top of each. Place the remaining four slices of bread on the grill as well. Cover and cook for 3-4 minutes. Close the sandwiches, press down and remove from the grill.